When it comes to medicine, health, disease, finding a cure has been the primary objective. But medical science has evolved in its use of medication, instruments, treatments and even in its focus, which has shifted to prevention and wellness. But there are some issues on these emerging changes, and one of the issues is the use of medical instruments and paraphernalia in dealing with diseases, monitoring, and check-ups. Should medical professionals use disposables or reusable devices? Critical devices or instruments are those that need to be sterile. These instruments enter membranes inside the body and must be devoid of any bacteria. If contaminated, it can transmit infections that can be life-threatening. Some devices in this category include syringes, catheters, disposable speculums and some instruments used for surgery. These devices can also transmit diseases and infection, but with the use of high-level disinfectant and decontaminants, the instruments can still be used. Examples of semi-critical devices are laryngoscope blades, and some equipment used for anesthesia. These items do not usually spread infections or viruses as they are only used in surface contact with the skin. Light disinfectant can easily sterilize these instruments. Some instruments in this category are stethoscopes, oximeters, blood pressure equipment and thermometers. For many medical practitioners, using reusable or disposable medical instruments have positive and negative results. Reusable materials are more cost-effective than disposable ones since you can clean and reuse them. But with reusable tools, a medical facility needs to invest more on cleaning agents, solutions, manpower, transportation cost and other hidden charges. For disposable or single-use instruments, a medical facility only needs to think about its purchase and proper disposal. A medical instrument must always be cleaned and sterile especially when this item is a critical device. A single-use medical tool will only be used for a specific patient or individual. It is often sterilized first and sealed individually, so there will be no contamination of any sort that will happen. A reusable medical device poses a threat of contamination when it is not cleaned and handled correctly. Some materials have small movable parts, and if not thoroughly checked can cause a serious effect on an individual. Waste is an inevitable by-product of many industries like those in the healthcare facility. Biological waste coming from hospitals and any other medical facility include blood, mucus, body fluid and body parts. These also include the materials thrown with these human body waste, the devices used in hospitals such as a syringe, catheters, and gloves. Like any waste, it must be disposed appropriately and if not, can pose a threat to the environment and the living things around it. Reusable medical instruments also produce a huge amount of cleaning materials that can be harmful to the environment. Wastes from healthcare facilities, whether disposable or reusable ones, still must be treated as they can affect the environment if improperly handled. 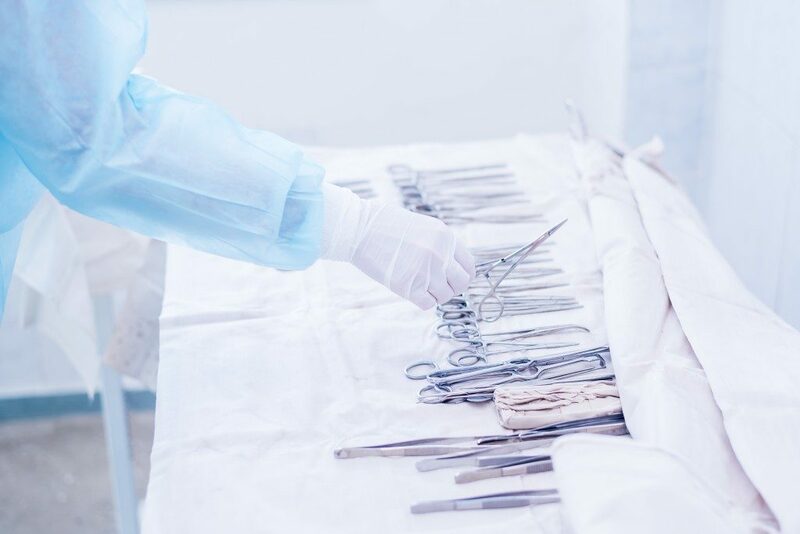 Whether or not a healthcare facility uses a reusable instrument or disposable one, always make sure that the device is sterile, cleaned, and safe for use.